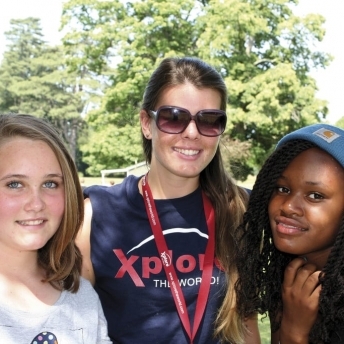 Town location – ideal teen camp for hanging out with new friends and going on city excursions. 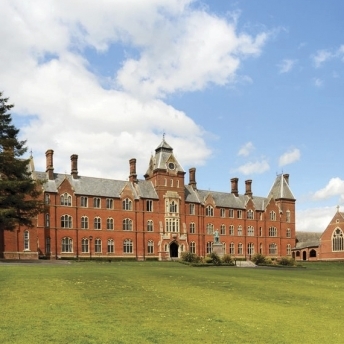 Camp Framlingham is a traditional-looking boarding school with a modern, contemporary campus looking over Ed Sheeran’s “Castle on the Hill”, ideal for older teenagers who want a vacation to England where they can meet new people and visit some of England’s most popular cities. On-campus there are acres of lawn for activities or relaxing with friends, and the local town is only moments away with shops and cafés to hang out in as well as some amazing city excursions to London, Cambridge and Norwich. Everyone is good, everyone is kind – like instructors, managers and everyone cares about us. They are all so friendly to us and they can support you at any time, they can help you with everything. Camp Framlingham offers all of our multi-activity sessions such as archery, crate climbing, quad riding and more while being outside surrounded by beautiful countryside and looking over the lake to the castle. There is a newly built indoor swimming pool which will be available when a lifeguard is working and in the evenings, we have a selection of entertainment planned, from campfires to discos, talent shows and fair nights. These fully supervised trips are the perfect way to spend the day off-campus with new friends – from day trips to big cities such as London and Cambridge or social trips to Norwich or Ipswich for shopping or bowling. Transfers – Return transfers from and to London Heathrow International Airport (LHR) on arrival and departure dates are included. Please ensure your arrival flight arrives at LHR between 10:00 – 15:00 and your departure flight leaves LHR between 12:00 – 17:00. Unfortunately, flights outside of these times or to/from a different airport will incur an additional cost – please check with our bookings team first. Accommodation – Accommodation at Camp Framlingham is set across 7 boarding houses, which creates a large campus-style atmosphere. Dorms are furnished to a comfortable standard with single to 6 beds per room. We always have separate quarters for boys and girls and where possible place campers of a similar age in a room together. If you have any special requirements or would like to request to share with a friend, we will try to accommodate you, just let us know in advance. Food – Meal times at Camp Framlingham offer a range of freshly cooked nutritious food, all served within the grand dining hall, located in the heart of the main building. As well as traditional English cuisine, the kitchen also offers a range of international cuisine throughout the week with both hot and cold options. The dining hall is always open for campers to collect water and is accessible from the main social area of the campus, which is also in the main building. Dietary requirements can be met when we are aware in advance.